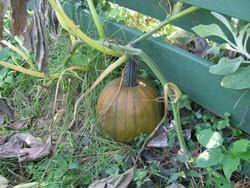 The Garden Club was able to pick pumpkins from the garden on the upper bank. This was a sure sign that summer was coming to an end. 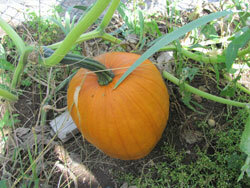 The pumpkins will be painted then raffled off for the students on Halloween. 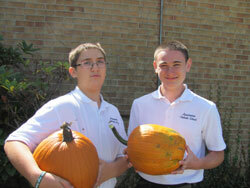 Check back to see the pictures of the painted pumpkins and the students that won them. Pancake Breakfast Fundraiser – a Great Success!